During Navratri it dons the festive colours as the rest of its surroundings, gyrating to the garba beats on the lawns of the famed Louis Kahn Plaza. Similarly, the enthusiasm around Bundesliga or an ice hockey matches reaches its climax when the favourite team nets a goal. The IIM-Ahmedabad campus always comes alive with equal zeal to diverse activities. The institute Director Ashish Nanda, an engineer, is no different. He discusses garba and ice hockey with equal ease, but hardly ever loses his sharp focus on management education. "I skate to where the puck is going, not where it has been." Taking a leaf out of one of his role models, the ace Canadian ice hockey player Wayne Gretzky, Nanda says: "It's true even in real life and we at IIM-A are trying to put that to practice. You have to have a sense of where the world is moving towards and aim for that." The school has, over the past couple of years, revisited its vision and is today taking steps to acknowledge its traditional strengths and build on it with good reason. "We are not a school of business but we are a school of management," says Nanda, pointing out that IIM-A students not only take up responsibilities at private firms but find their way into diverse fields across government, not-for-profit and multinational organisations, besides donning the entrepreneurial hat. "In two years from now, we are going to have a school for people who want to get into the area of public policy, whether as part of the government or regulatory body, or in the private sector." In short, the institute wants all its courses to meet the expectations and demands of a new-age economy and, at the same time, stay connected to its roots "as a school that aims at educating leaders of enterprises in a meritocratic environment" with the aim to nurture future leaders. Nanda is, however, cautious and grounded when it comes to talking about the institute's success stories. "I have to recognise that a lot of what happens every year at the hiring level is a function of business cycles. So, yes, we did a lot of things last year, but it was also the year of a rising tide which lifted all the boats. All management schools and business schools are doing well and we are one of them," he says. "While I am gratified and happy that IIM-A graduates are doing well, I must also say we take only part of the credit for that because part of the reason was that the business cycle was on an upswing," adds Nanda. "We hope that through both good times and bad times our people will get into positions that they will find meaningful and enriching in the long-term and, in this, immediate placement is a very small measure of how they are doing." Similarly, he says that the growing number of graduates who are floating their own ventures also do not make up the salary or placement numbers, but they go on to create enormous value. Yash Sheel Srivastava, a second year student at IIM-A, who is also the recruitment secretary, says: "Students have seen an exponential growth in the choice of offers and, given that the competition is heating up, recruiters are more conscious about the value proposition they offer to students and that translates into the roles and salaries they offer." Though, even traditional sectors such as consulting and FMCG continued to hire during 2015, a strong pitch was made by Internet and e-commerce companies. "Almost a fifth of the last academic batch evinced interest and secured jobs in the Internet and e-commerce space," says Srivastava. IIM-A students, whom Business Today spoke to, were more interested in what their role would be in a set up rather than the brand. "You want to be part of a business that is going to scale up real fast. You want to be part of that growth. It is the opportunity to venture into space that is untapped. 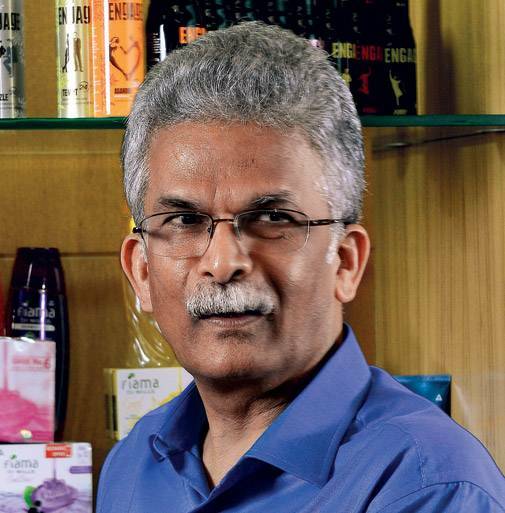 The job needs to be exciting enough and that would be a function of the responsibilities you get and the calls you get to make," says Siddharth Raman, a student, adding: "The new-age sectors or new-age roles, however, are interesting because they are challenging, as they are untested business water." But then, even traditional players are venturing into new areas. "We continue to visit IIMs and other B-school campuses because our hiring is a direct function of our growth plans and we offer both growth opportunities and challenging roles, be it for brand building or in the setting up of greenfield manufacturing facilities," says Pradeep Dhobale, Executive Director, ITC, adding: "What we offer is a chance to be involved in brand-building from scratch, such as our initiatives with Aashirvaad, Bingo or Classmate, and running across media, including digital, print, television and even celebrity advertising." Also, from an engineering point of view, he says, there are huge opportunities "as we offer opportunities in building greenfield factories", hinting at ITC's plans to invest Rs 25,000 crore across different verticals over the next five years and the setting up of 20-odd factories. But then, it is a no brainer that the demands of working at a consulting firm like McKinsey would be different from the skills and abilities needed to grow at Ola Cabs, for instance. Says Ajay Pandey, Dean, Programmes at IIM-A: "We do review our programmes and have just implemented the results of our just-concluded review of the flagship PGP programme. We ride on the general trend including the state of the economy and the new sectors that are emerging and the skill sets required for them. But we do not customise the programme to a specific sector or to a particular emerging trend." But there's a lot happening around the building of a new curriculum. Starting this year, IIM-A has introduced compulsory courses on entrepreneurship; government systems and processes; understanding global organisational context and environment and sustainability. Students feel these new courses will help them meet the different challenges that come along as one rises up the leadership ladder. The thought behind the new initiative is simple: In these days and times one needs to grow at a fast clip and, in the process, may have to don the hats of, say, a consultant, a finance executive, or a marketer and, therefore, the ability to process diverse subjects from policy to operations is key. Industry insiders see merit in the new inclusions. Says Nikhil R Meswani, Executive Director, Reliance Industries: "Courses such as those on government systems and processes would prove extremely useful because the students will get a much better idea of what goes on in real life." And, that's exactly what Nanda seems to be working on with his team: "We are trying to make sure that we are offering courses that will be more responsive to tomorrow's world and the students have the opportunity to not only get to do traditional case studies, but also project work in the field so that they get a first-hand experience of the world they are going to enter." The institute is seeking government support to grow its doctoral programme, while it continues to engage in fund raising. In the past two years alone, the school has announced 16 chairs for faculty and its efforts to reach out to its alumni, India Inc. and philanthropists in India have already resulted in commitments of over Rs 100 crore. IIM-A is also keen to have a diverse student community by introducing supernumerary seats for foreign students. Besides, it also making efforts to raise the number of women students, which varies each year between 15 per cent and 30 per cent, without offering any specific quota for women. On foreign student participation, Nanda says, since the method of learning at IIM-A is discussion- and case-based, the quality of learning in a classroom is a function of the richness of experience and knowledge that people bring. At the moment, the school is focussing on East Africa, West Asia, the SAARC nations and South East Asia. Now, Nanda and his team at IIM-A are increasing its wing span; while they are reaching out to overseas students, they are also making sure that the future leaders walking out of the Ahmedabad campus get to know Indian culture and its diverse nature. The school is trying to proactively connect with the local community, says Nanda. It arranged a garba event during Navratri on campus. This marked a break from the past. Instead of restricting cultural activities to an in-house festivity, the students reached out to all the other institutes of higher learning in Ahmedabad, including the IIT and National Institute of Design, Centre for Environment Planning and Technology and Nirma, among others. If the goal is to leverage each others' interests and build a richer academic community with links between students, there's no better way to do it.